God so loved the world that He gave his one and only Son, that whoever believes in Him shall not perish but have eternal life (John 3:16). The Church which meets at Chesterfield Hall is one of a group of evangelical, Bible-based churches, established and growing in many parts of the world, all holding the same beliefs and sharing a common purpose and practices. We believe that God loved the human race which He had created, so much that He sent His Son Jesus Christ to die for us so that if we believe that, then we have our sins forgiven (see John 3:16 above). We try to follow the teachings of the New Testament about baptism and how the early churches were formed and functioned. We would not claim to do this perfectly. “Just a minute!” - “Hold on!” - “I’ll do it just now!”, are sayings that we hear almost every day. Most of us don’t like doing things which we feel we can leave until tomorrow especially at this busy time of the year. As I look out into my garden, I really must get out there and do some tidying up. But it may be warmer tomorrow and I am tempted to leave it. Are you like that? We all seem so busy these days, always going to do this or that but somehow, we never seem to get around to it. Sadly, sometimes we leave things so long that it becomes too late to do them anyway. We can also be like that about the things the Bible teaches us too. If we never get to grips with what the Bible says to us, we could leave it so long that it’s too late, and sadly this is a real possibility. “Never put off until tomorrow what you can do today” is a saying many of our grandparents used, how true that is, NOW is the time to accept Jesus as your Saviour, because, who knows, tomorrow may be too late. To reserve places call 01362 681977 or email to "loop@churchofgodincromer.info"
Everyone is welcome at our bi-monthly Quiz Nights. They are usually arranged on a Monday evening during spring, summer and autumn. Dates are announced on our website in the "News and Events" panel. We start with a 2 course meal at 7.00pm. and the Team Quiz follows. Finally there is an after dinner speaker. Dates currently planned for 2019 are - February 25th, April 29th, June 24th, August 19th, October 28th, December 16th. 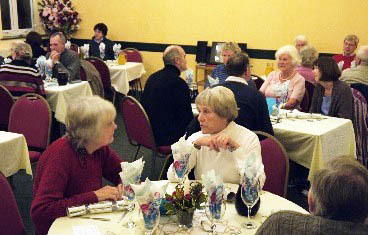 Chatterbox is a very informal get-together at Chesterfield Hall at 2.30 on the third Thursday of each month. 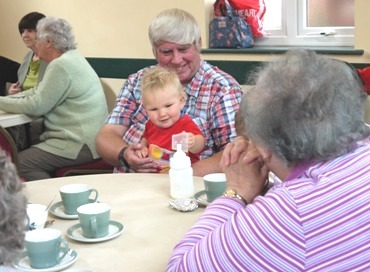 Come and relax whilst having coffee or tea and chatting to friends old and new. On some occasions there is an invited speaker from outside the church otherwise there will be a quiz (these are not too difficult and are really just for fun) followed by a short "thought for the month". Then stay whilst tea is served. There is no charge. Come and give it a try, we'll make you very welcome. 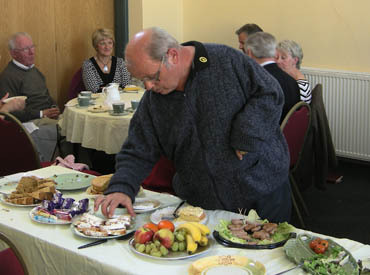 On the first Sunday of each month, come and join us for a free informal tea at 5.15 pm. Use the time to meet friends or bring new ones. After the tea there is a time of singing followed by a short talk.